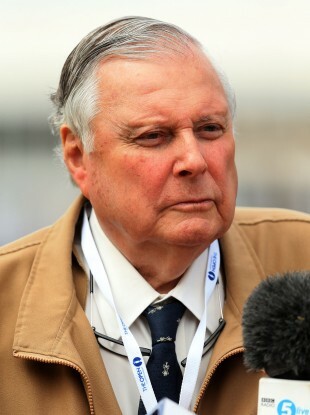 THE BBC HAS apologised for a remark made by golf commentator Peter Alliss during the British Open. The comment came when eventual winner Zach Johnson was lining up to take a putt to win the tournament. While doing this, the camera panned to Johnson’s wife, Kim Barcley, prompting Alliss to say, “Wife Kim looking on. She’s probably thinking, ‘if this goes in, we’ve got a new kitchen’”. The veteran broadcaster was widely criticised on social media for the remarks. In a statement this evening, the BBC has said, “Peter made a light-hearted comment which was inappropriate and we apologise if anyone was offended”. The comments by Alliss followed an earlier controversy when Irish amateur Paul Dunne hugged his mother as he came off the course as joint leader after the third round. The commentator has worked with the broadcast since 1961. Email “BBC apologises for sexist 'new kitchen' remark by golf commentator ”. Feedback on “BBC apologises for sexist 'new kitchen' remark by golf commentator ”.